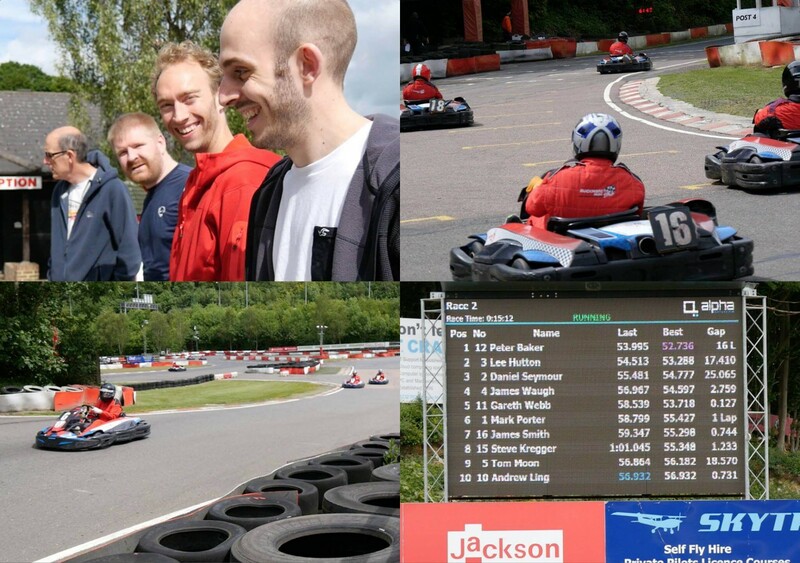 Last weekend several of our giants, clients and friends headed to Buckmore Park for a great day of racing. The event was in aid of Combat Stress, our chosen company charity, who help ex-service personnel suffering from psychological injuries and mental health problems. The first race was won by our very own Luke Quilter (we didn’t just let him win, honest!) with the second being won by Peter Baker of Team Sparks. We also held a raffle with lots of great prizes, including a 15 minute passenger experience in a Tesla Model S supercar from E Vision, a frozen fruit and veg hamper from Ardo UK and a karting session voucher from Buckmore Park which raised over £200 for Combat Stress. We would like to say a massive thank you to everyone that came along and for donating to such a good cause. If you would like to donate to this brilliant cause or see how much we have raised so far visit our Just Giving page by clicking here.